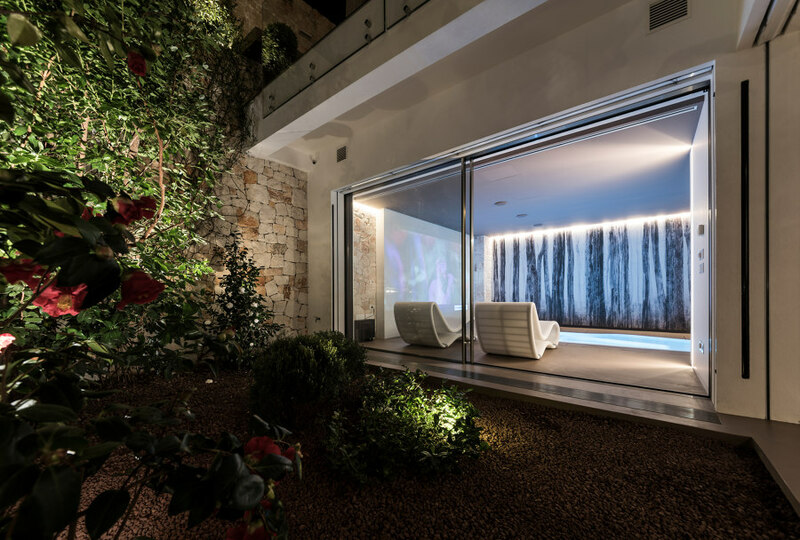 Inside a wild garden, in the historical center of Alberobello, a residential architectural project of extraordinary beauty has been created. The house is developed over four floors which are linked by a main staircase and an elevator platform. 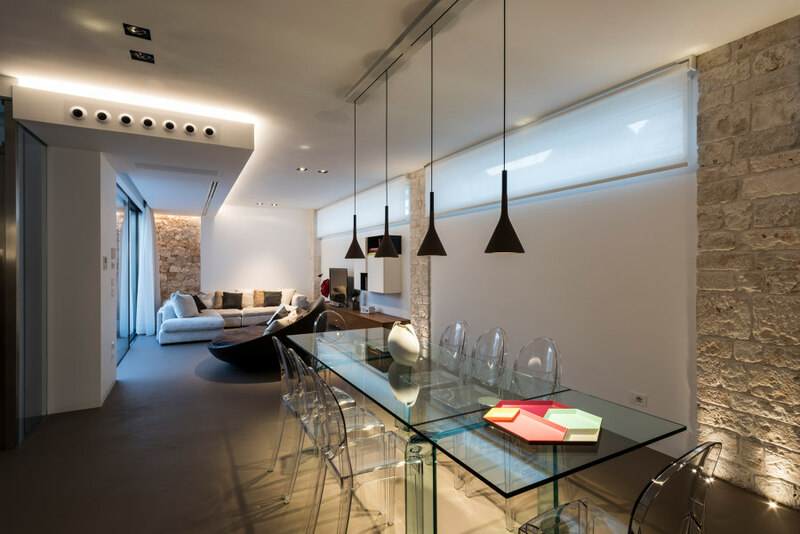 Minimal yet cosy spaces characterise the ambiences inside the house, which are curated in every detail: from the choice of materials and the study of light to using highly technological elements adding functionality features to the space. Both outdoor and indoor spaces are dominated by the local stoneworks: the exterior walls are painted with pigmented limewash, then we have a drystone fence and the interior walls with stone faced view. These are all elements which make this house unique, with a predominance of dove-grey and white tones in contrast with walnut wooden elements and cocoa coloured furniture. 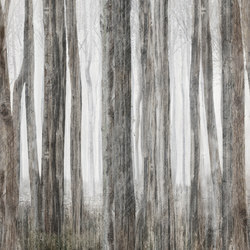 In this context, Inkiostro Bianco wallpapers found a perfect match. Inkiostro Bianco wallpapers are a perfect decoration which, together with the other interior design elements, give the ambience a touch of elegance and poetry. 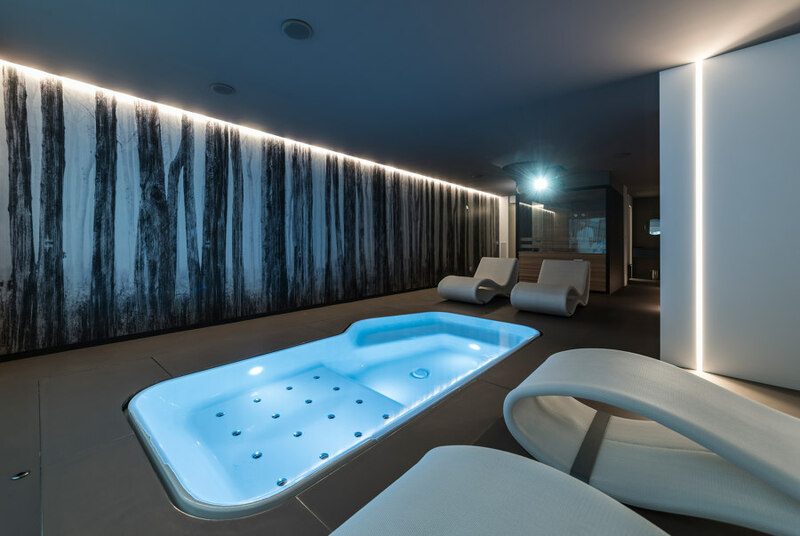 The choice of wallpaper artworks was based upon the area inside the house: in the SPA and wellness spaces the EQ Dekor fibre glass was selected. Indeed this is an ideal application for areas which are prone to contact with surplus water or splashes. The Little Red Riding Hood design is in line with the design concept developed for the whole ambience: “transforming the spaces into a natural environment looking onto the green courtyard”. 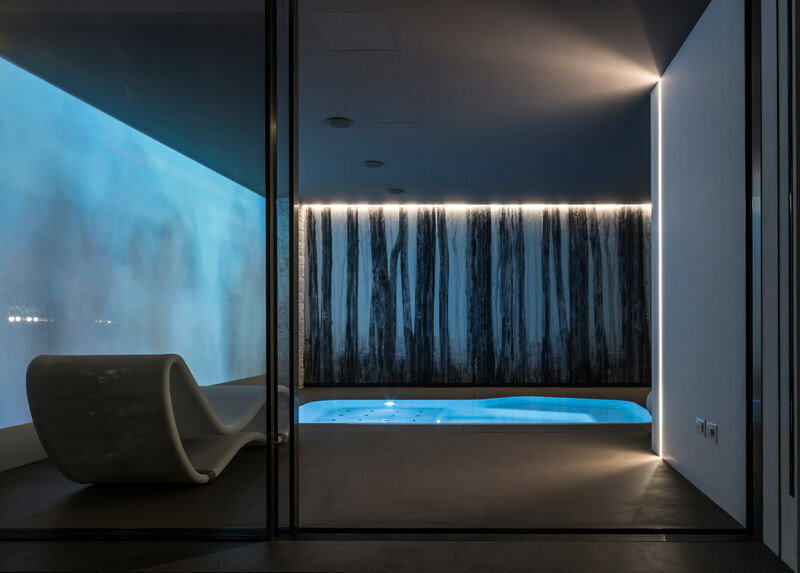 The wallpaper illustrates a forest with long tree trunks facing the mini-pool thus giving the space a totally laid back relaxing feeling. 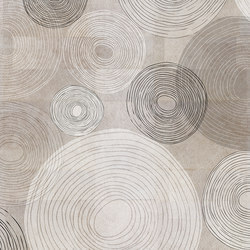 The Soft Circle vinyl wallpaper adorns the bedroom area. 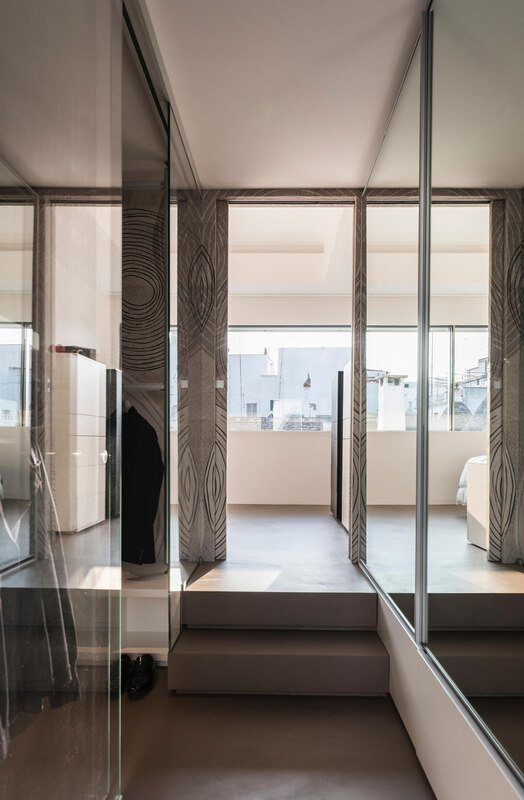 The wall with sliding doors (which also have a wallpaper covering) divides the bedroom from the walk-in wardrobe while keeping the decor continuity where the soft, neat tones of the decoration create a continuous harmonious dialogue. 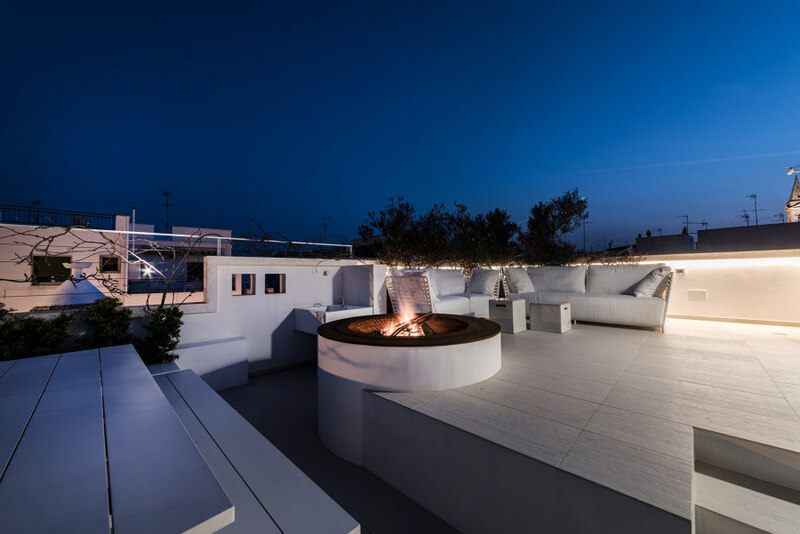 The house inside the fence represents an example of contemporary beauty which finds a perfect match with the decorative solutions created by Inkiostro Bianco, where the matter, as the main character, matches the materials, the finishings and furnitures while completing the interior design project with a unique style and in line with the original concept.